In a reversal of restrictions placed on healthcare access in 2012 by the conservative Partido Popular (PP) government of then-President Mariano Rajoy, Spain’s Congress voted 177-133 Thursday to approve a special ley decreto (decree law) put forward by the government that provides universal healthcare access to anyone residing in Spain regardless of nationality or legal immigration status. While Spanish press reports focused on the immediate reinstatement of healthcare access to nearly 900,000 undocumented migrants denied healthcare under the 2012 Rajoy government initiative, the legislation is actually much broader and re-establishes “entitlement to the right to protection of health and healthcare for all people, independently of their nationality, who have established their residence in Spanish territory”. Covering all undocumented migrants, ostensibly including foreign nationals who have retired to Spain but are not on the legal immigration padrón registry, the legislation also will see healthcare access provided to Spaniards who may not have registered with or paid into the system sufficiently to merit full coverage or who have not been on the health registry because they resided overseas for many years before returning to Spain at retirement age. The Socialist party government of President Pedro Sánchez also pushed through Congress two other leyes decreto on Thursday, aligning Spain’s data protection laws with those of the European union and providing additional assistance to communities and government agencies to deal with the influx to Spain of migrants and refugees crossing the Mediterranean from North Africa. In Spain’s Congress, leyes decreto do not follow the normal legislative process or transition through committees, debate and amendment before the full chamber. Instead, after approval by the Consejo de Ministros (Council of Ministers) they are proposed directly by the government and go straight to the floor of Congress on a date of the government’s choosing for a vote of approval or rejection. The restrictions on healthcare access passed in 2012 by the Rajoy administration were established through a decreto ley approved by the Partido Popular’s then-absolute majority in Congress. The Rajoy government restored to the ley decreto approach on 75 occasions during the former president’s six-and-a-half years in office. 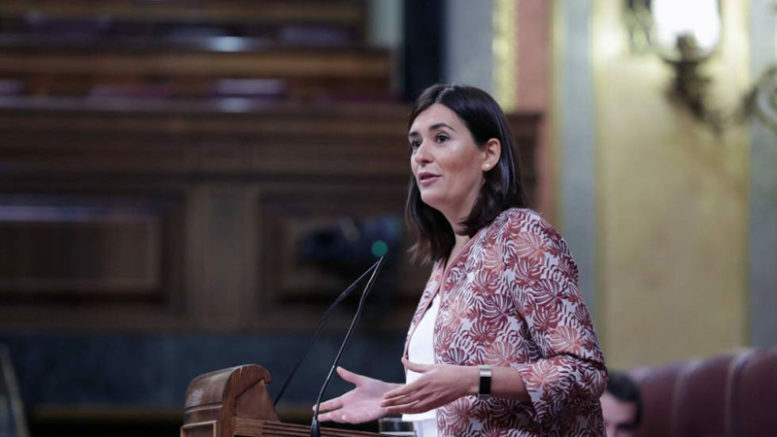 On Thursday, PP deputies in Congress voted en bloc against the healthcare reform and deputies of the centre-right Ciudadanos party abstained. Since taking office in June, the Sánchez government has formulated seven leyes decreto, four of which have been approved by Congress. The others currently awaiting a vote in Congress include legislation providing for the exhumation and transfer of the remains of former dictator Francisco Franco from the Valley of the Fallen monument outside Madrid, a law providing funding for the immediate application of measures to combat violence against women and another to free up emergency funding to assist the long-term unemployed in Spain.